Erina Showroom – Unit 2B, 24 Barralong Road, Erina (entry via Marinus Place). The Central Coast is a beautiful region, and if you’re lucky enough to live here, you’ll already know what a top spot it is. But it can sometimes be hard to enjoy those sea breezes and keep the great outdoors where it belongs – outdoors! This is why it’s good to know that SP Screens are just a phone call away. 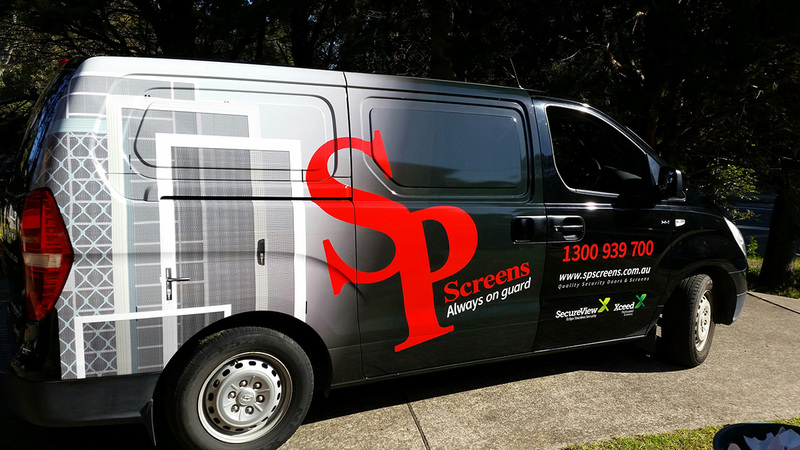 We supply and install quality screens from all the best manufacturers, including CommandeX, Xceed, and SecureView Eclipx, and because we’re based in your region, you’re guaranteed friendly local service and affordable local prices. From Morisset to Wyong, Gosford to Woy Woy – we’ve got the Central Coast covered. We can bring our mobile showroom to wherever you are, or you can visit us at Barralong Road, Erina. Formerly Central Coast Stainless Security Screens, SP Screens is all about providing exceptional quality to our customers. We stock only the finest products from trusted manufacturers, and we provide excellent service from sales through to installation. With thousands of happy clients across the state, we think we’ve got the mix right – and we look forward to making you our next satisfied customer. Whether you need to keep insects out, let breezes in, or deter intruders, our security screens are built to do the job, all without detracting from your home’s best features. All of our screens come in sleek, modern designs that add style and elegance to your home, and will complement any façade. They’re also guaranteed to last, with industry-leading warranties on SecureView Eclipx, Xceed, and retractables. We think you’ll be pleasantly surprised when you see what we have to offer at SP Screens, so why not book an obligation-free measure and quote instantly from our website? Alternatively, simply fill out our online enquiry form, or call us on 1300 939 700. Resistant to a huge range of forced entry methods, and with a small enough hole aperture in the screen mesh to function as an effective insect screen, security doors from SP Screens let you invite in the breeze – without sacrificing your home’s security. In multi-story homes, windows on the upper levels can pose a threat to children, the elderly, and pets. SP Screens offers Fallsafe screens, capable of stopping anyone trying – by accident or curiosity – to exit through these windows. Does your home have a larger opening, such as Bifold doors? Retractable flyscreens allow you to effectively screen these areas off from the out of doors, without shutting your home off from the atmosphere outside. And when they aren’t in use, they are quickly and easily stored off to the side. privacy screens offer you the opportunity to effectively increase upon your property’s private space By blocking the view of your home from the street, you are also improving upon your security against thieves or opportunists. Built from aluminium, these screens will not degrade in the salty Central Coast air. Make your home stand out with modern plantation shutters in a range of colours, stains and whites to match your home. Their class and style comes to you by way of a custom-built shutter, professionally installed to suit your house’s décor. They can provide shade on the hottest days, maintaining an amenable temperature indoors. SP Screens’ modern roller blinds do more than provide shade, they are also useful for protection against bad weather. Available in a large range of fabric choices to complement your outdoor area, their easy-to-use mechanism rolls them away when not in use.